The staff was very kind and helpful. Got there at the 3 in the morning, and got a wonderful service. The room was very comfortable! The Gym is great!! Breakfast was very rich! 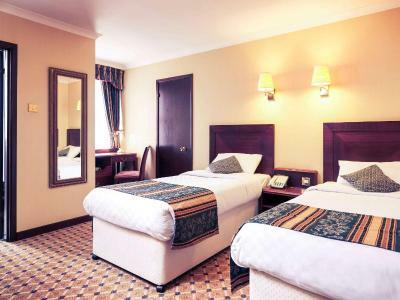 The room was clean, tidy and very comfortable, the corridors all had a very light clean floral smell, which was lovely. We had a swim, went into the sauna and steam rooms all very good. Due to family illness I have stayed on several occasions as it meets my requirements for its location, facilities and comfort. Very helpful staff, both at reception and the staff we encountered throughout our stay. Breakfast fine -plenty of healthy options too. Parking good. The general ambiance of the hotel. Extremely comfortable bed. Courteous and pleasant staff. Good food in the evening (didn't have breakfast). The staff were very accommodating - I asked for two rooms in the quietest area next to each other, given there were Christmas parties going on and we got these - no music disturbances during the night. The breakfast was also very good, with very accommodating waiters. Great location. very convenient. Great value for money. 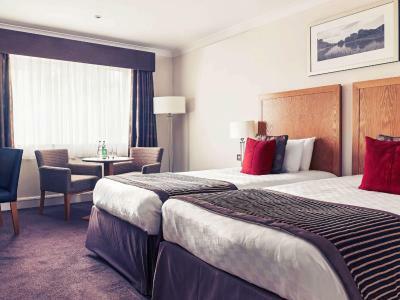 Mercure St. Albans The Noke This rating is a reflection of how the property compares to the industry standard when it comes to price, facilities and services available. It's based on a self-evaluation by the property. Use this rating to help choose your stay! 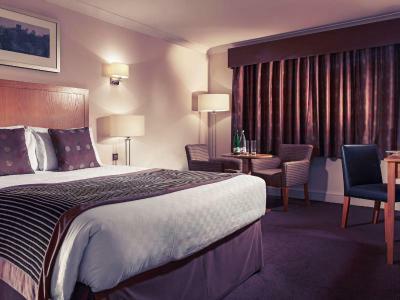 One of our top picks in St. Albans.On the edge of historic St Albans, Mercure St. Albans The Noke offers easy access from the M25 and M1 motorways, this 4-star hotel offers free parking and superb relaxation facilities, including a swimming pool. 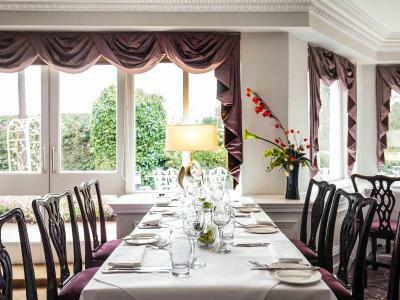 Mercure St. Albans The Noke has been tastefully transformed into a country-house-style hotel offering modern facilities and excellent meeting rooms. The Health & Leisure Club is available to all guests and includes a fitness room, an aerobics studio, a hot tub, a sauna and a steam room. The large indoor swimming pool also has a spa pool. A beauty salon is also available at an additional cost. 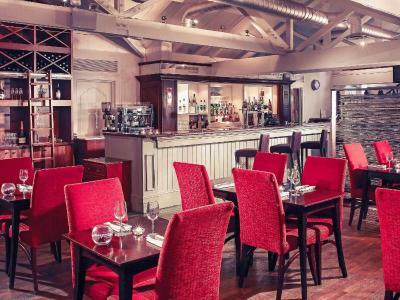 The Restaurant offers fine dining, while the Oak and Avocado Bar Lounge is suitable for more informal occasions. 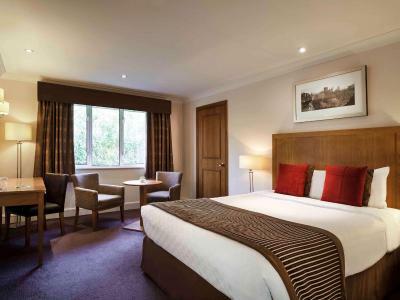 When would you like to stay at Mercure St. Albans The Noke? This room features a TV, mini-bar and an private bathroom. Free WiFi, tea/coffee making facilities and free toiletries are also provided. 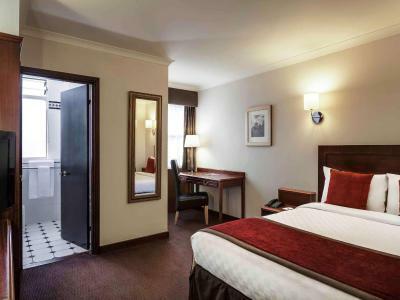 This double room has a dining area, air conditioning and seating area. 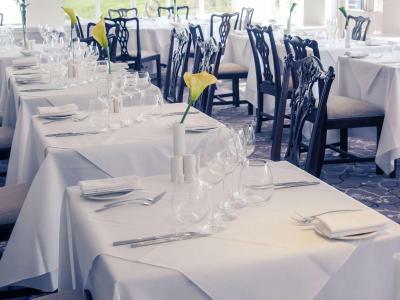 House Rules Mercure St. Albans The Noke takes special requests – add in the next step! Mercure St. Albans The Noke accepts these cards and reserves the right to temporarily hold an amount prior to arrival. Please note that a credit card deposit will be taken by this hotel for all cash payments. The very limited space in the bedroom due to the addition of a single bed. We were happy with our stay, and although some areas of the hotel are quite tired, it was perfectly clean and comfortable. 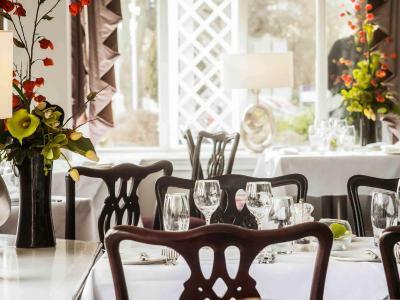 The restaurant is very nice and more recently decorated, and the food very good. Our only disappointment was that we had booked a double room but on arrival found ourselves in a triple, which with the addition of a single bed, meant that the room space was very limited. Not sure why this was allocated to us when we booked a double. Deliciously buttery & flakey croissants. Nice pool, steam room & jacuzzi. Very pleasant & helpful staff especially Paulina. The other guests were very loud during the night banging on our door and just being generally loud, they kept us awake for a while during the night. Large group booking stayed at same as us and were very disruptive. In the pool they dominated it shouting and screaming so we got out and leisure club staff did not intervene and at night, banging on doors and shouting. The hotel was great, some guests inconsiderate! Pool was excellent and our son loved it. Great location, friendly staff. Nice leisure facilities and food at breakfast and dinner very good. We arrived at midday hungry only to find restaurant closed until 3pm!! Main restaurant that we had planned to celebrate my daughters birthday in that evening, was also closed due to a private function . Consequently had to pay BH rates for taxis to take us into town for a decent meal. Feel cheated that we paid for facilities that we were able to use. Decor in rooms is dated and dark. Incessant traffic noise means you can’t open window for air. General areas very utilitarian. Chairs in breakfast areas look very tardy....I could go on. The hanging baskets at the front of the building ....that’s about all! 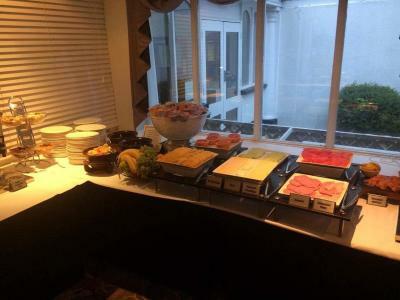 Brilliant buffet breakfast with everything you could want. Friendly staff. Nice little spa. 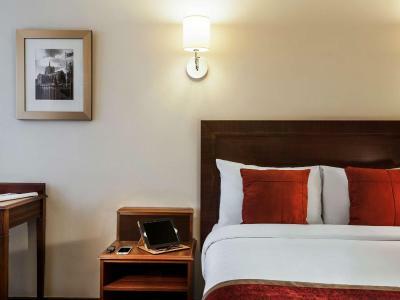 Lovely, comfortable room with decent sized bed, bath and great flat screen on the wall. We were told that a travel cot could not be put up in a double room and instead had to pay extra for a superior room to fit it... this was completely untrue. We saw a double room and there was plenty of space, so instead had paid to have a room with a tonne of space we did not need. Felt conned. The staff were very rude on the phone when we called ahead about the cot and when we arrived at reception, we listened to the lady being rude and sarcastic to another customer on the phone whilst we waited. She stood rolling her eyes about them to us whilst trying to get them off the phone quickly, and it became apparent that this is exactly the service we had experienced ahead of our visit. Embarrassingly bad service. We ordered room service breakfast.. mushrooms, beans, spinach, tomatoes, 2 pieces of toast, porridge, orange juice and it cost £18.95!!!!!! Extortionate. Bed was super comfy and very spacious... if you need a spacious room.. The hotel is located by the motorway, but it was quiet. We had a good night sleep. Staff were excellent, it was clean and the facilities are great. Nice breakfast too.